From the inception, the original Kalamunda Hotel in 1902 was the centre piece of social, and in the early days, commercial life of the Kalamunda into the 1950s. Both the original Kalamunda Hotel and the current Kalamunda Hotel remained important holiday destinations for Perth well into the '60s. The Original Kalamunda Hotel was built by owner Charles Francis Hummerston in 1902. In 1985 following a fire the first floor has been boarded up and the whole ground floor converted into the Kalamunda Hotel’s Bottleshop. The Kalamunda Hotel was designed by Perth Architect George Herbert Parry and built in 1928 for racing identity Patrick Andrew (Paddy) Connolly comprising a beer garden, bars and restaurant with function rooms and guest rooms. For over a century the Kalamunda Hotel (1928) and its neighbor and predecessor the original Kalamunda Hotel (1902) has played an important part in the life of the town of Kalamunda. Conveniently situated near the railway station (until 1949 when the railway was closed) the two hotels have provided a place for thirsty workers and travelers, rooms for commercial travelers, rooms for commercial businesses and a destination for holidaymakers wanting to enjoy the delights of the Darling Ranges. For a short time during the Second World War it was a refuge for some prominent dwellers when there was the threat of a Japanese invasion. In 1996 the Kalamunda Hotel was classified by the National Trust. In 1997 the two hotels were entered on the Shire of Kalamunda’s municipal inventory of heritage places. On the 24th of March 2005 permanent entry was granted on the register of Heritage places. Paddy of Irish descent was born at Orange NSW in 1867. As a stockman he learnt about cattle and horses. The 1890s gold boom in WA attracted Paddy to try his luck in the goldfields, but this proved unsuccessful. He began amassing wealth through the Hotel business and his involvement in horse racing. At the peak of his career, he had a financial interest in scores of hotels scattered throughout WA and owned 2 sheep stations and raced 120 horses on lease. 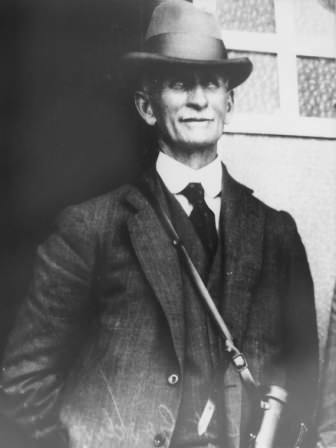 Connolly was most famous as the owner of Blue Spec, the Horse that one the Melbourne Cup in 1905. He also owned seven Perth Cup winners. In 1950 he would be included in the obituary section of the publication Leading Personalities of WA 1950 which recognized him as one of WA’s greatest philanthropists having donated $250 000 to various charities. Charles Hummerston was a highly respected marine engineer from Victoria who came to WA towards the end of the 19th century. He Became an elected member of the Darling Range Road Board serving from 1903 – 1906 and chair of the board in 1905. With so many stories recalling tales of the supernatural kind, surrounding the Kalamunda Hotel, we decided a spiritual investigation was required. We contacted a local clairvoyant who was able to describe the ghosts or spirits in disturbing detail. She is not the first. Our research into the Hotel turned up many stories and studies surrounding these phenomena in the Hotel over the last century, most too similar for comfort. According to other accounts the Hotel’s original owner, Paddy Connelly loved the ladies. On one occasion he managed to get a teenage girl pregnant, she subsequently committed suicide by jumping off the Hotel Balcony. The clairvoyant believes this occurred at the back balcony. A beautiful woman in her mid 30’s dressed in a high collared white Victorian era dress. These are simply people’s point of view or beliefs, the Hotel management leaves the believing up to the individual, but one thing is for sure you will never be lonely at the Kalamunda.